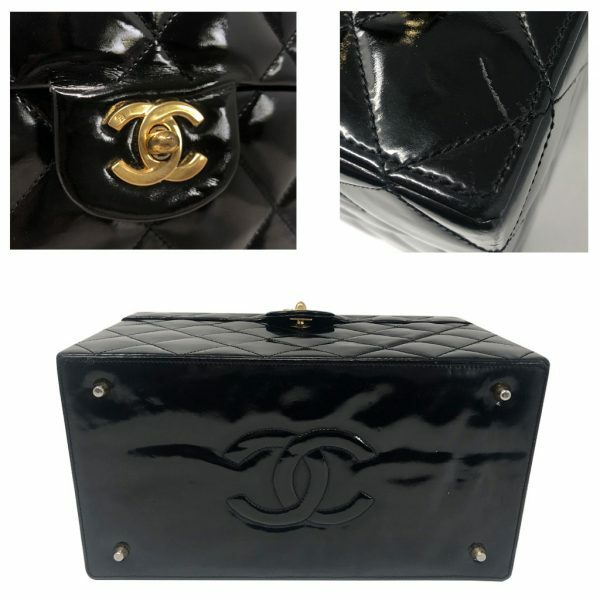 Condition You’re viewing this amazing Chanel Beauty Train Case in black patent leather. This beauty case has been kept in great condition over the years, however does show some visible signs of wear. 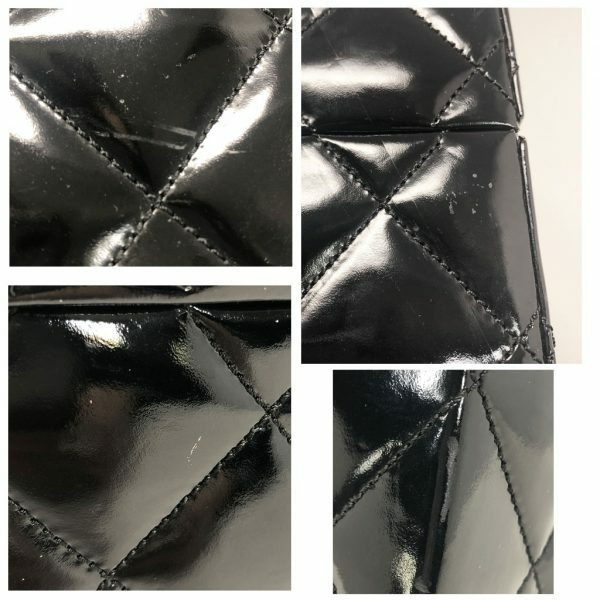 The quilted black patent leather exterior shows visible scratches and scuff marks all of which can be seen in the pictures listed. On the front of the case you will see small white marks on the leather. 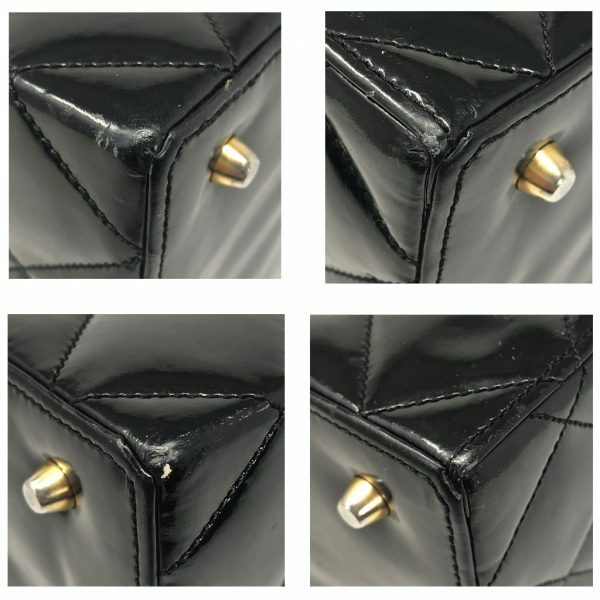 The black leather shows creasing where the lid closes and locks with the golden brass “CC” twist lock. This lock works properly and shows visible scratches from use. On the top of the lid, you will see a visible scratch on the bottom right corner and scuff marks along the left side of the lid as well. On the back of the case, you will see visible scratches and faint white marks on the patent leather. Both sides of the case show faint scratches which can only be seen in specific lighting. On the bottom of the case, you have four golden brass feet and the “CC” logo. The feet show discoloration and scratches from use. There are small white marks on the leather. 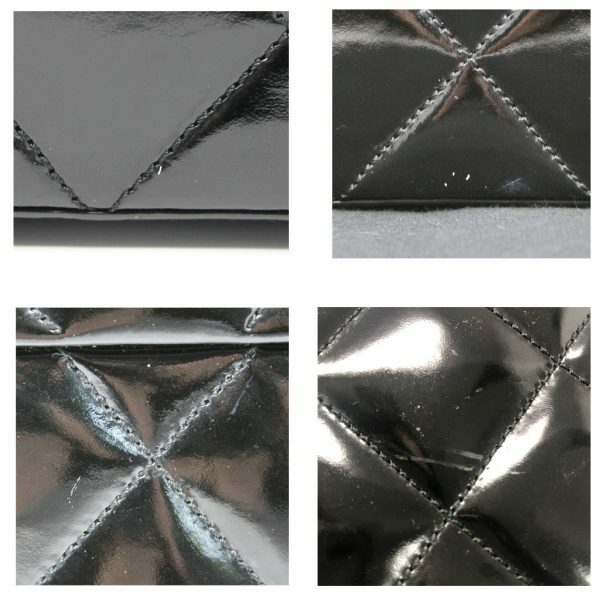 Along the bottom and top corners of this beauty case, you will see visible scuff marks and scratches. No major rips or tears are visible on this case. 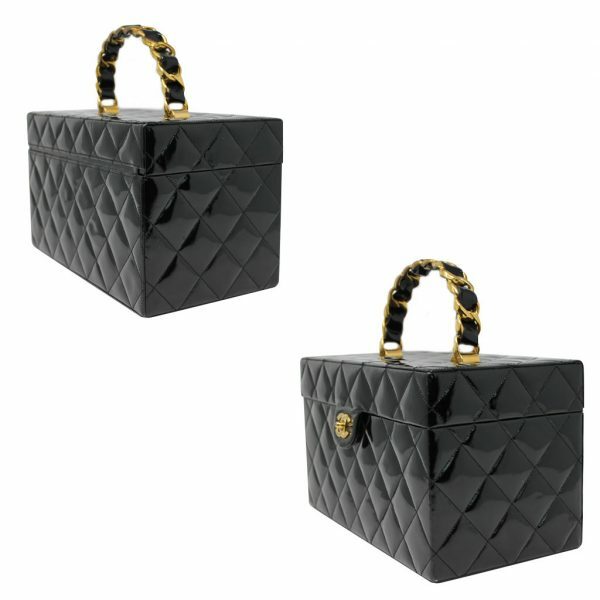 The top handle is stiff and made up of golden brass chain and black patent leather. The handle has a drop of 3.5″. Once you open this case you will see the beautiful burgundy leather interior lining. 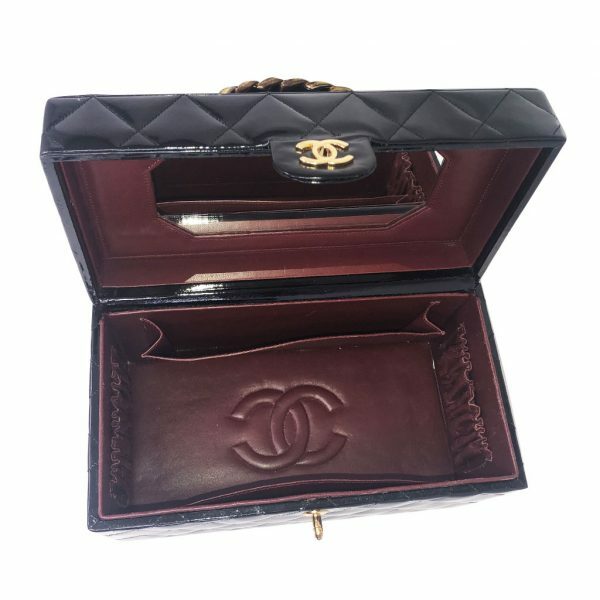 The interior contains a large mirror on the back of the lid, two small pocket compartments, and two stretch side compartments. 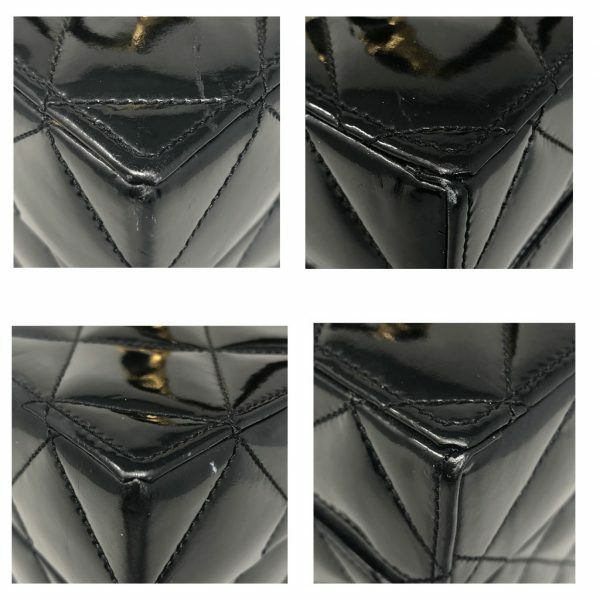 The interior lining has some faint scratches from use, one of which can be seen in the pocket compartment. There is a small stain on the bottom corner of the interior. Along the interior border where the lid closes, you will see faint scratches and what appears to be, make up stains. 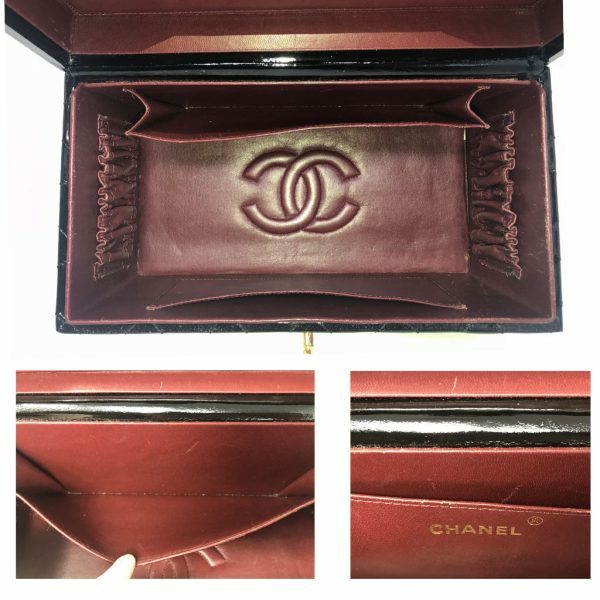 The date code was not found within this beauty train case but this case is guaranteed 100% authentic Chanel. 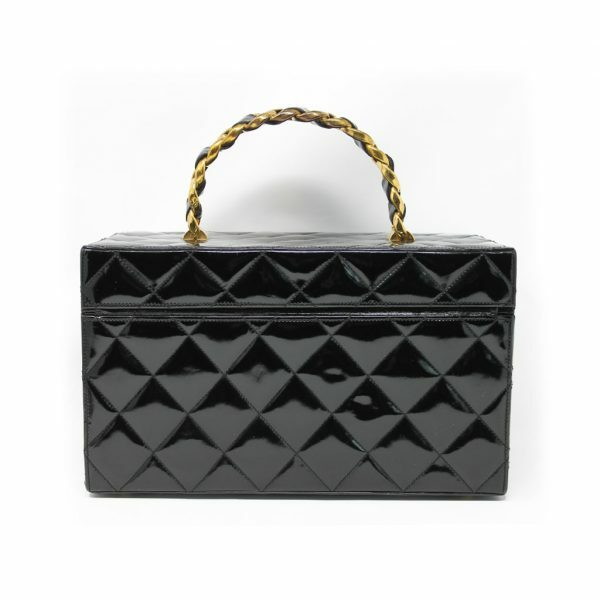 This is a perfect make up case for on-the-go traveling, or a statement piece for a coffee table or dresser. 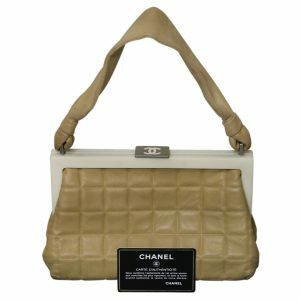 Don’t pass up the opportunity to own this authentic Chanel Beauty Train case. This is a classic piece! Comes with original dust bag. Buy it now or make us your best offer.